In addition to the Draft Constrained List for T-SPLOST draft constrained list of T-SPLOST projects, which doesn't even include dollar estimates, this longer report contains details for each project. And the cost to widen Old US 41 North from North Valdosta Road to Union Road has gone up from the previous estimate in June of $8 million to $12 million in August, for a 50% increase! I wonder if the County Commissioners know about this rapid cost inflation. Curious how when the components went up by odd amounts, the total went up by exactly 50%. It's almost like the total was increased and then the components were arranged to add up to that. Also curious how the biggest increase, percentage (54%) and total ($3,500,000) is for construction. I could see how Rights of Way (ROW) acquisition costs might go up because people might not want this boondoggle in their front yards, but why was it so hard to estimate construction costs the first time? Craig Cardella said his wife Anne was a current Valdosta City Schools teacher and former Teacher of the year, and he was a former city manager who had done community development all his life. I can tell you without doubt this is the most damaging useless thing I've seen proposed in many many years. This will do more damage to our community than just about anything I can think of short of a hurricane running through the middle of town. It will damage both the county and the city school systems severely. It will hinder the growth of the education of our children. It will cause chaos among the city and county school staffs, both of which are like this, because a lot of times they're the same people. Valdosta, Lowndes County, Georgia, 29 August 2011. This is truly a time for educators, and the families of students in our communities' schools to celebrate the leadership that the BOEs have shown. That said, I would like to commend the LCBOE on the strength of their resolution. They not only state clearly that consolidating the schools would not increase in academic achievement, but a large tax increase would be expected. Another point that LCBOE included in their resolution is that such a referendum should only be brought by citizens, families, or educators. Jame Wright also made this point in his statement to city council last week. Without the support of the educators involved, and the families impacted, such a referendum question is just a big buck political agenda on the ballot. This town is still small enough to call this spade - money trying to drive the education bus into the ditch. NOT WITH MY KIDS' EDUCATION, YOU DON'T!!! 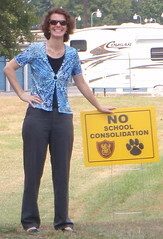 I see nothing in consolidation that would improve education, so I see no need for it ever. 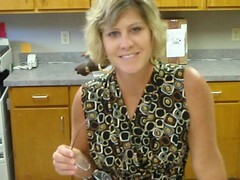 I got to the VBOE meeting really early, so I was the first to sign up to speak. My main topic was to praise the Valdosta Board of Education for putting their agendas online in web-readable form (rather than entombed in PDF as so many other organizations do). Videos by George Boston Rhynes for K.V.C.I. Later I also complimented the chair for having one of those rare objects, a clock on the wall where everyone can see it so they can know how long they've spoken already. Thanks, George, for the compliments in the information on your YouTube video. You were blogging long before LAKE. Everyone please look at George's blog, K.V.C.I. Keeping Valdosta Citizens Informed. Two south Georgia School systems don't want to consolidate. 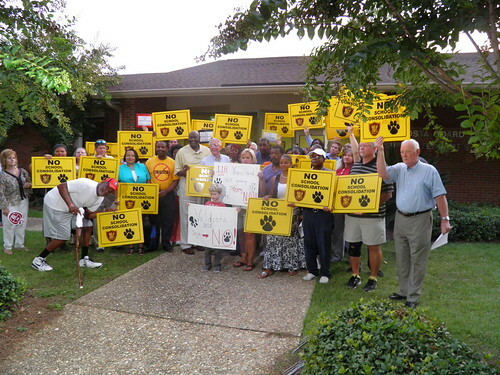 Hm, they noticed yesterday's VBOE meeting with its statement and today's LCBOE meeting with its resolution. Almost as interesting is what they don't mention. CUEE is not named; it's just "a citizen group". And there's no mention that both meetings were full of FVCS people opposing consolidation, and not one single CUEE member willing to speak up for it. Less than two months ago, both WALB and WCTV named both groups and used words like "Talks Heat Up" (WALB) and "Showdown" (WCTV). What's changed, TV media? Here is the text of the resolution against school consolidation adopted today by the Lowndes County Board of Education. It does not seem to be on their web pages yet. 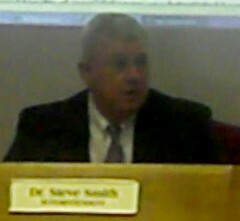 First a video of Superintendent Steve Smith reading the resolution, followed by the text of the resolution. 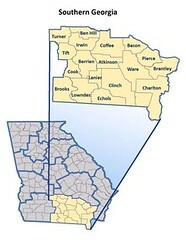 Valdosta, Lowndes County, Georgia, 30 August 2011. This text is my transcription of what was read. I have added a few links. 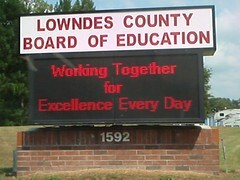 WHEREAS the Lowndes County Board of Education, Valdosta, Georgia, met on August the 30th 2011, to discuss positions regarding the consolidation of the Valdosta City School System and the Lowndes County School System. 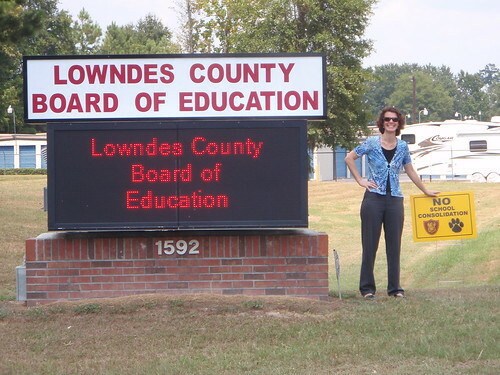 It took the Lowndes County Board of Education less than two minutes at today's 1PM called board meeting to adopt a resolution against school consolidation. Superintendent Steve Smith: As y'all are well aware, we have had numerous requests from our constituents that we adopt a stance regarding consolidation. So I think this resolution pretty much describes our position regarding consolidation. Nobody had any comments or discussion. So they moved and seconded. Philip Poole made the motion. I didn't catch who seconded. Chair Fred Davis asked for a vote indicated "by raising your hand individually and reciting your name, please." 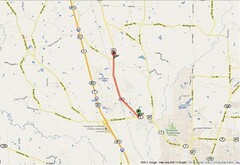 Update 5:30PM 30 August 2011: Text of the resolution and video of the board adopting it are posted. 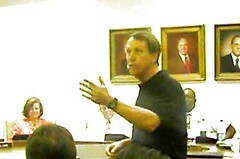 Update 7:12PM 30 August 2011: a recent LHS graduate points out it was 7 to 0, since there are 7 board members. Let's call it unanimous. Karen Noll of FVCS illustrates the result of today's Lowndes County Board of Education meeting: eight to zero unanimous for a statement opposing school consolidation. More videos of the meeting will follow. Hm, another school board that puts its agendas online in web-readable form. Maybe the municipal elected and appointed bodies could adopt this format. On the other hand, would you want to merge with a school board that doesn't know when its own meetings are? I went to the Lowndes County Board of Education at 11:30, and the woman (Terri) who previously told me that was the time of today's called meeting now says it is 1PM. She apologizes for the confusion. She says it was previously 11:30, but they changed it to 1PM.